When it comes to playing games on the phone, there are probably few of us left who remember playing Snake or Tetris on the old block like Nokia phones. They were addictive games though and fuelled the beginnings of the mobile gaming industry. The big change though came with the rise of iOS and most importantly Android. With the basic nature of mobile gaming, things definitely had to change. While Java was a big jump in quality, the real change came with the operating systems on the phones which brought about the power of the apps. Now instead of the phone being mainly a device to call on, or to text on, there are thousands of apps that can be downloaded and used to do all kinds of things. Looking at apps, the biggest change has come in the form of entertainment. While Netflix and other VOD apps do have popularity, gaming is at the forefront, and it has become a billion-dollar industry. One of the biggest signs of this success was when King, the makers of Candy Crush Saga were bought by Activision for $5.9bn. This was the sign that gaming on mobile devices had finally hit big business and the major gaming companies were looking to claim a stake in the growing market. Not only this, but the rise in the freemium games have also created a payment model that gamers have accepted, and games companies such as the best online mobile casino can manipulate to become very profitable. Freemium games are those which are free to download or play and give the gamers the ability to pay real world money to make progress in the game. While this is optional, the games are designed in such a way as to push for the player to make the payments. It may have had a rocky start, but it is now a way that has been accepted by players and is making plenty of money. What Android does well is to make gaming mobile. No longer are the players stuck on the couch having to play on the console or PC, but now they have the choice to play on the mover. Whether it be a Candy Crush Saga clone, or even mobile betting on the players favourite sports, this can all be done on the move. One thing is for sure, technology as we know it is always improving when it comes to mobile gaming, and huge advances are being made especially in areas like virtual reality and augmented reality. 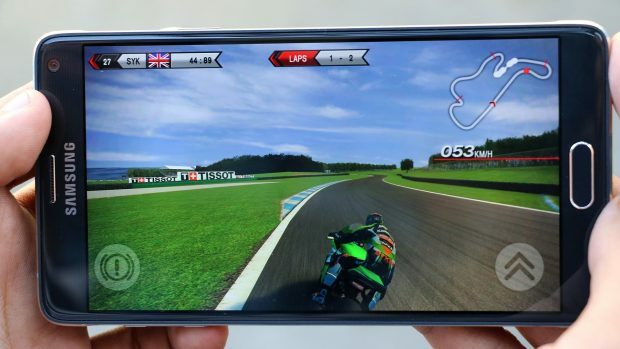 The fact is, it is a very exciting time if you’re a mobile gamer or gamer alike, and with the new phones from market leaders Apple and Samsung being recently released it looks like Android and iOS games are going to be better than ever. What this means is that gamers can expect an increase and quality in games that start to appear in the mobile app stores which makes the future.